Donate - Your body is not your currency. Dare to Be Bold. Monetary donations to Be Bold, Inc. (EIN 47-1351109) are tax deductible. 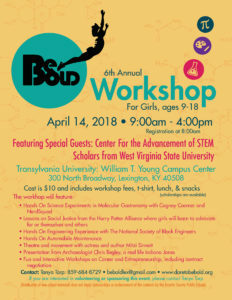 Donate $10 to ensure one Be Bold girl can enjoy the workshop on April 14 free of charge! Please enter any amount in the box below, then click Donate Now.